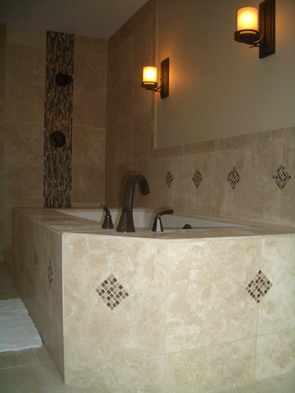 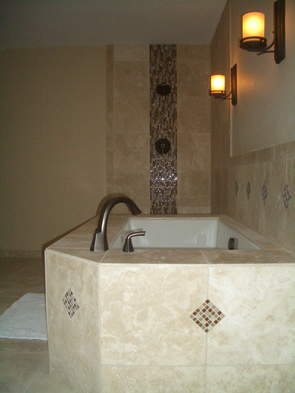 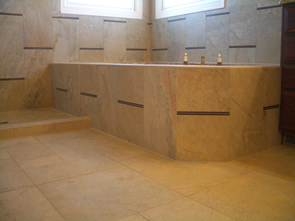 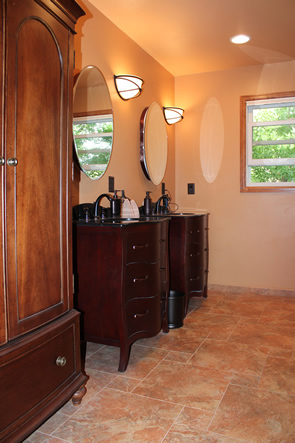 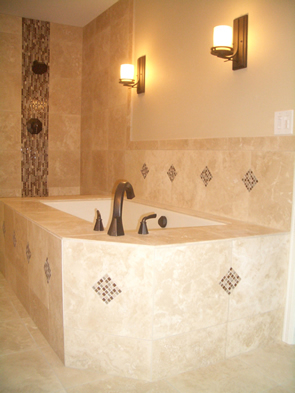 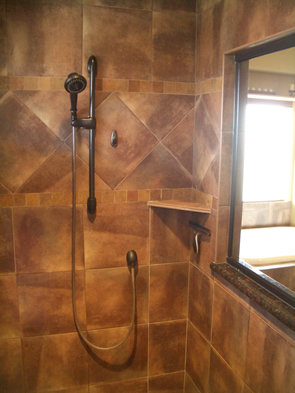 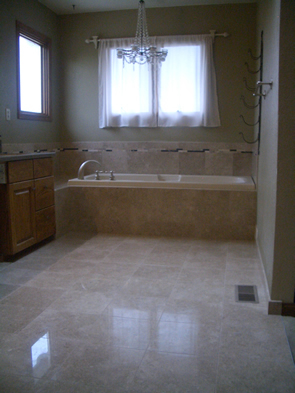 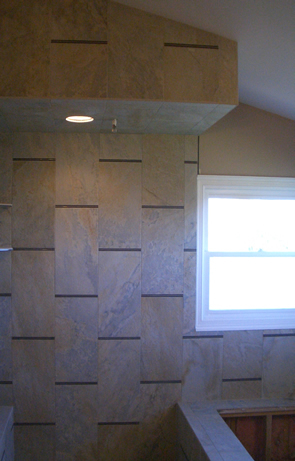 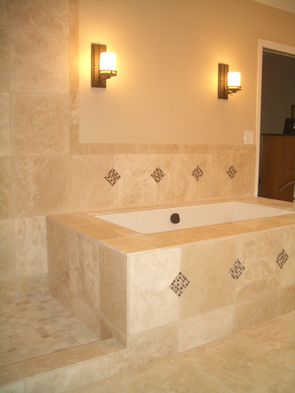 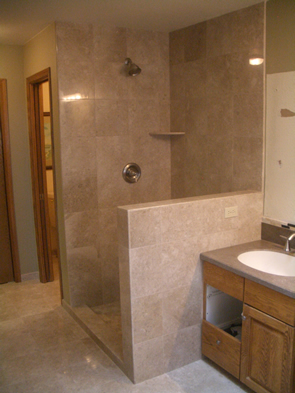 We recently finished up a master bathroom remodel in Fort Collins. 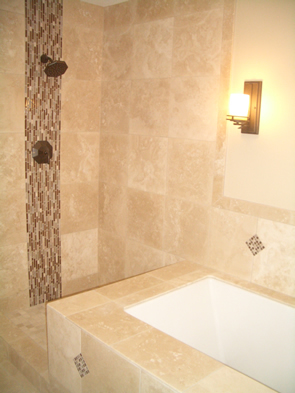 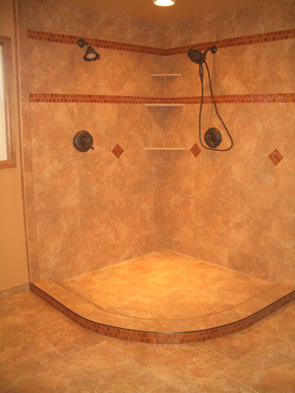 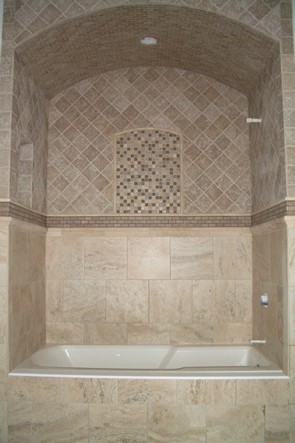 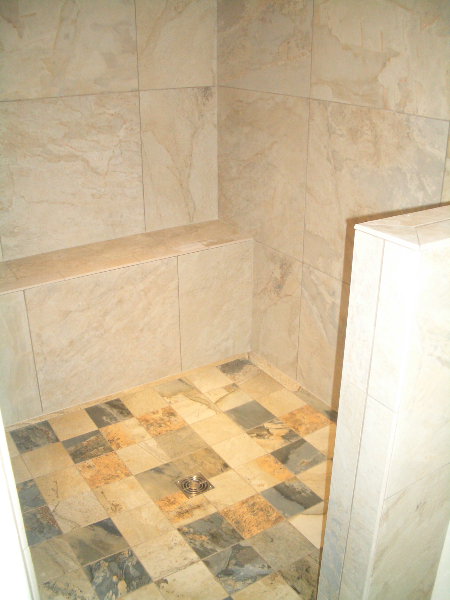 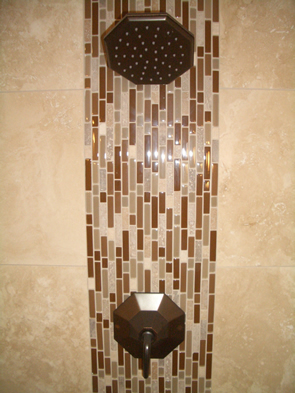 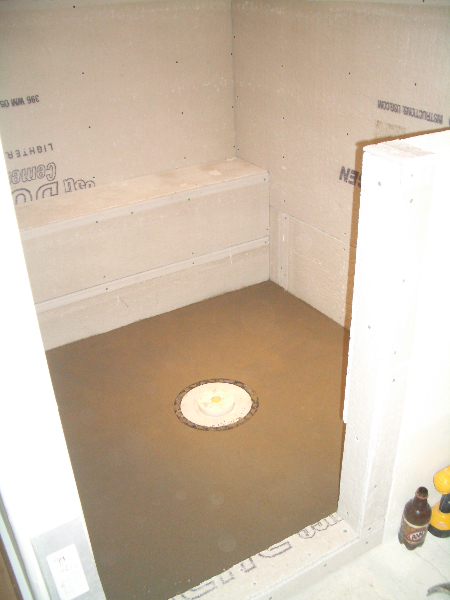 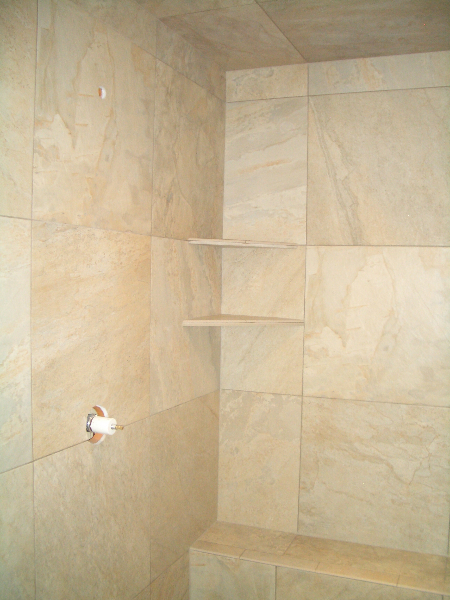 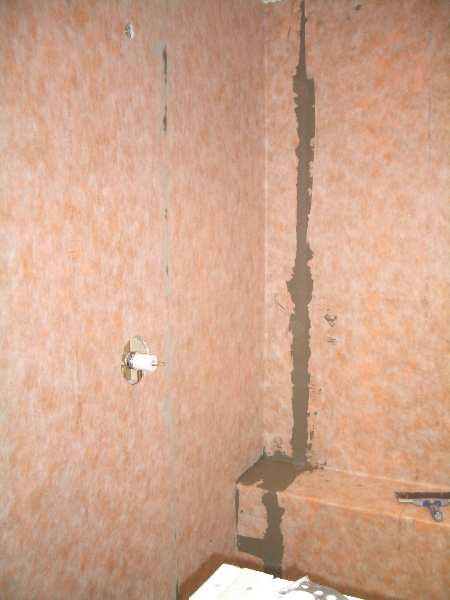 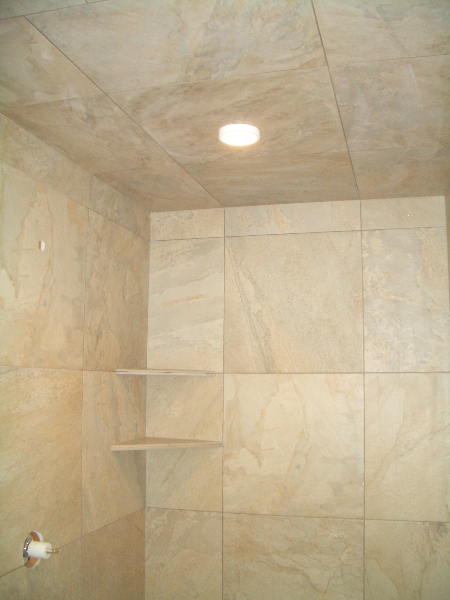 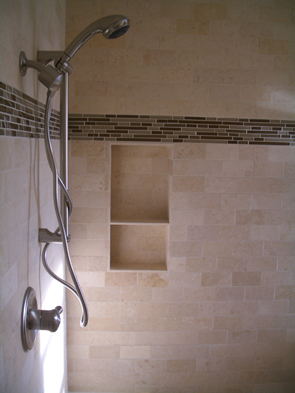 We began the shower construction with Durock cement board on the walls and a custom shower pan with the kerdi drain. 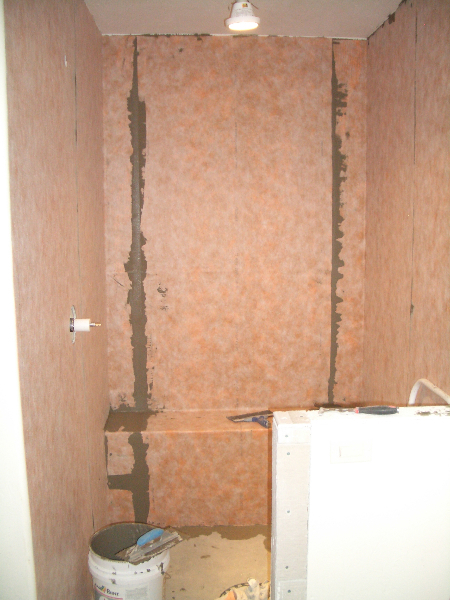 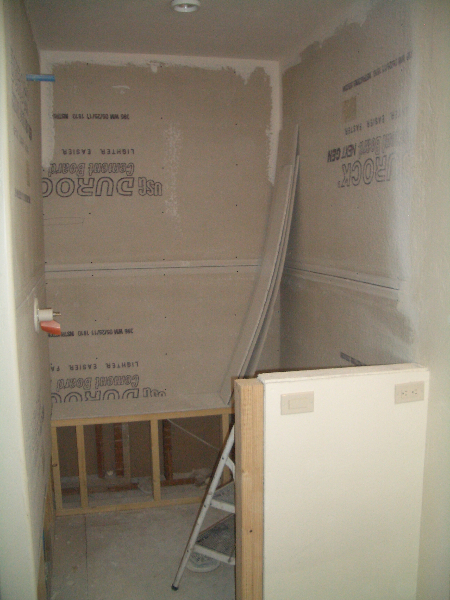 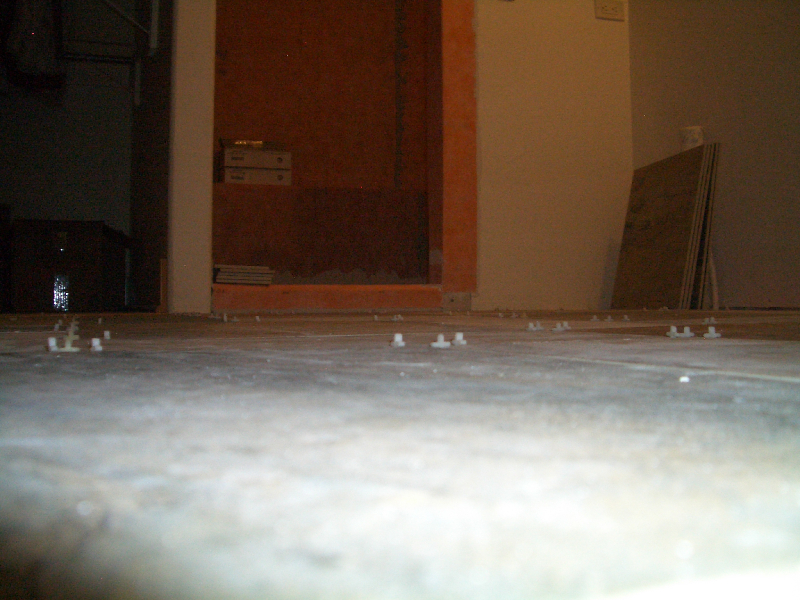 The waterproofing was completed on the walls and floor with Schluter kerdi waterproofing membrane (the orange stuff). Building a shower in this manner creates a large waterproof box. 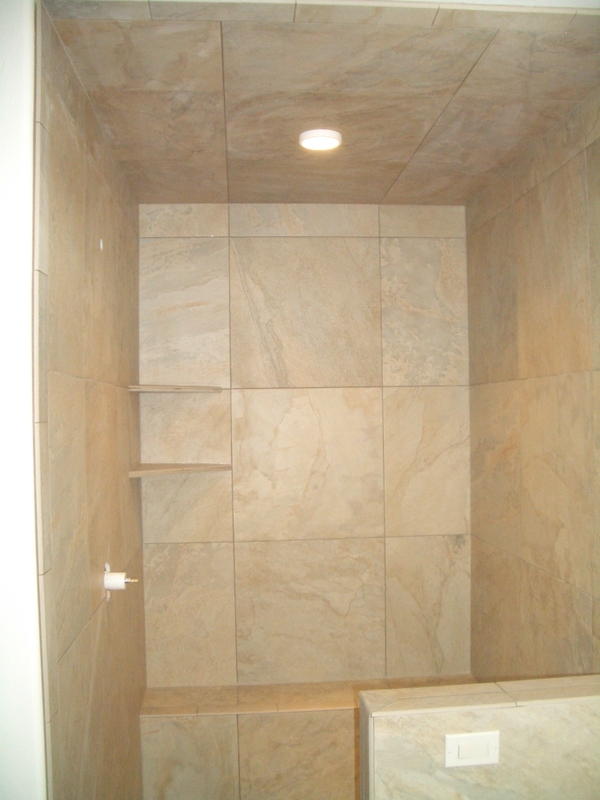 Before a box of tile is even opened your shower is completely waterproof. 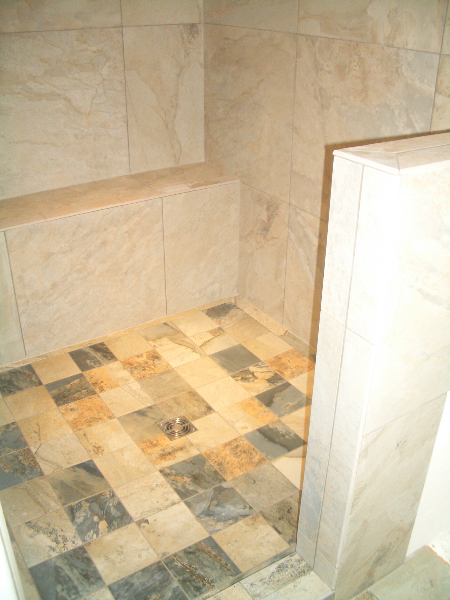 The shower included a large bench across the entire back wall and two corner shelves for rubber duckies! 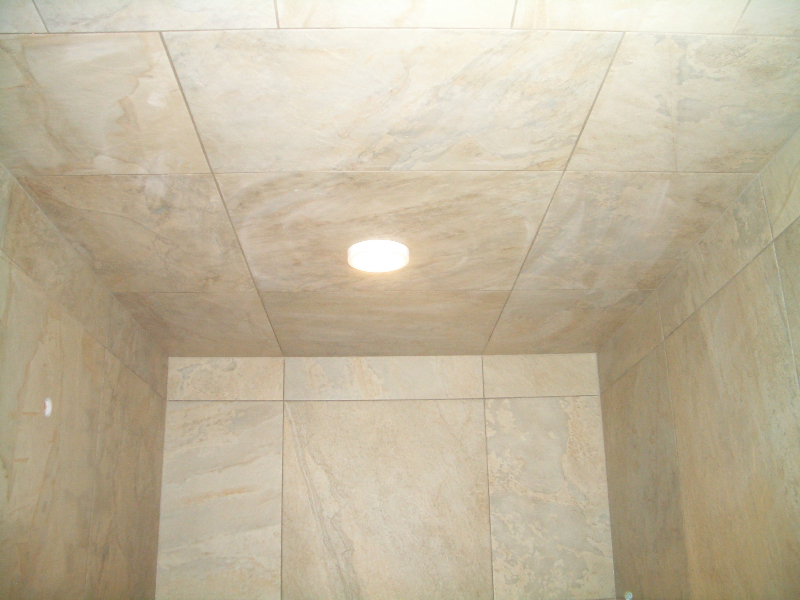 The ceiling of the shower was tiled as well. 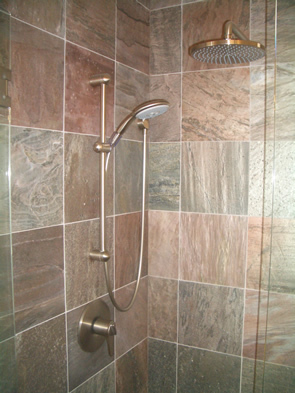 This helps tremendously with managing steam and water vapor which will rise when the shower is in use. 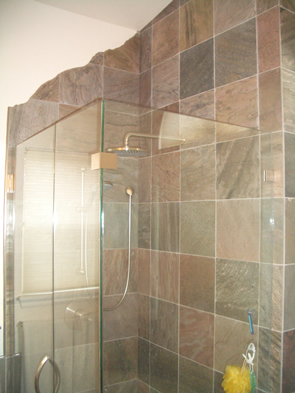 The same stuff that ends up on your mirror constantly penetrates the ceiling of your shower as well. 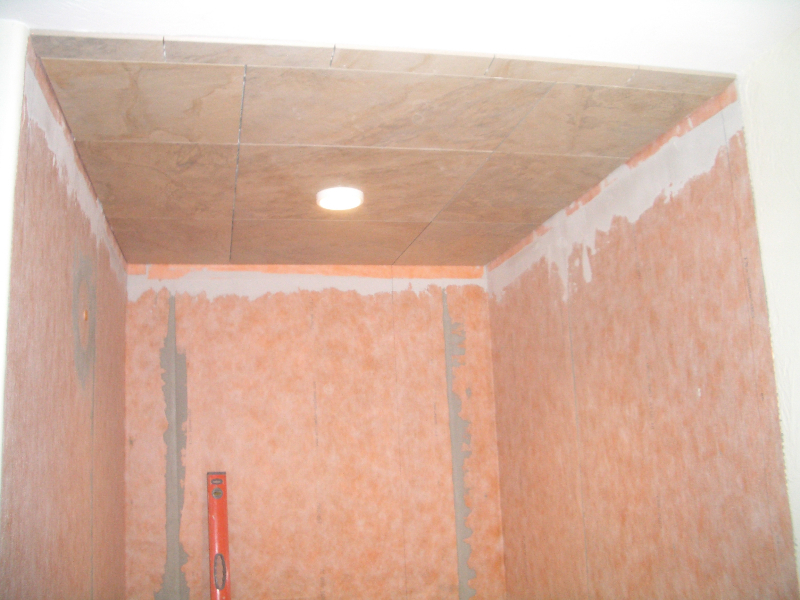 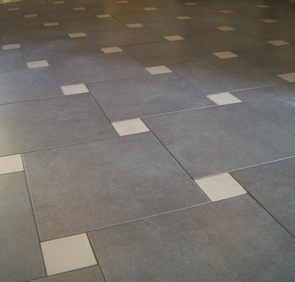 Tiling the ceiling stops most of this vapor from entering your ceiling substrate. 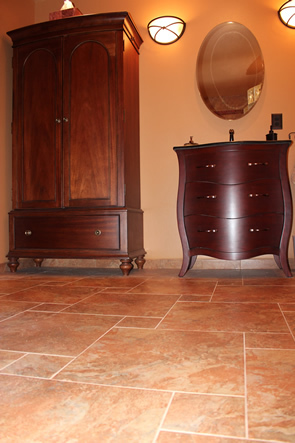 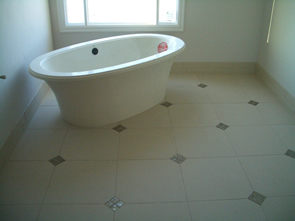 The tile used for the shower was Florida Tile’s ‘Legend’ series, the Olympic line in a 24 x 24 inch tile. 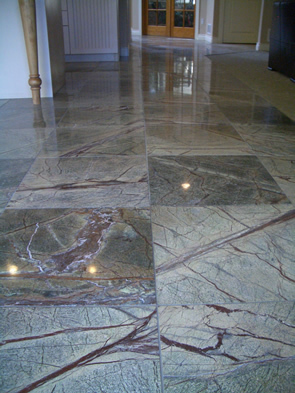 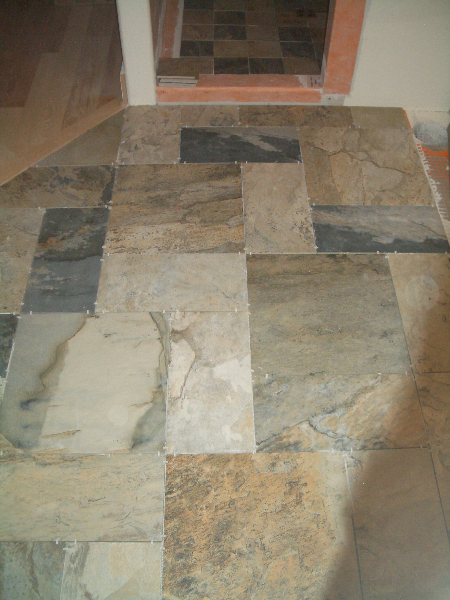 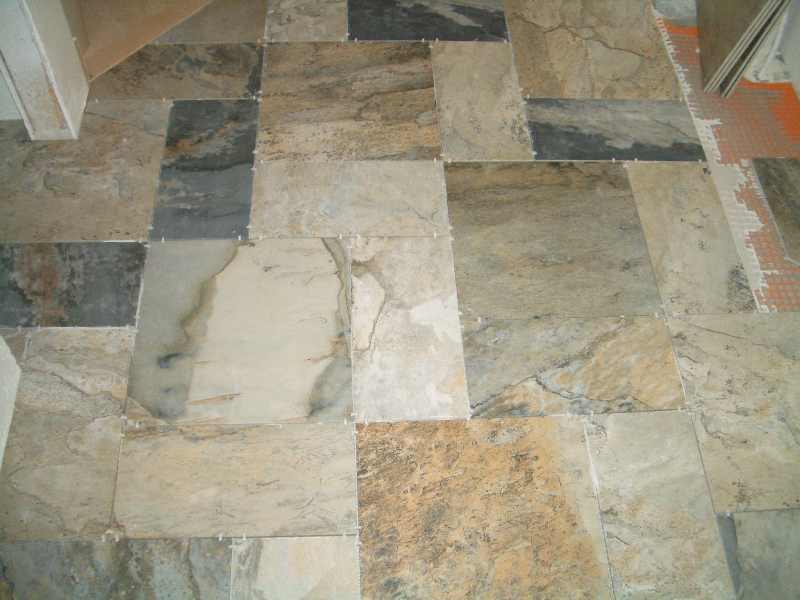 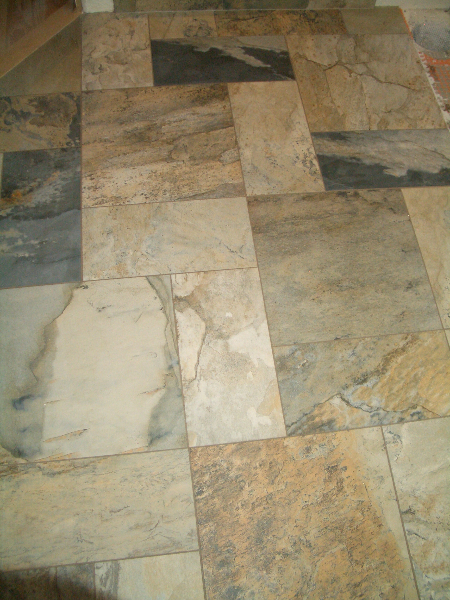 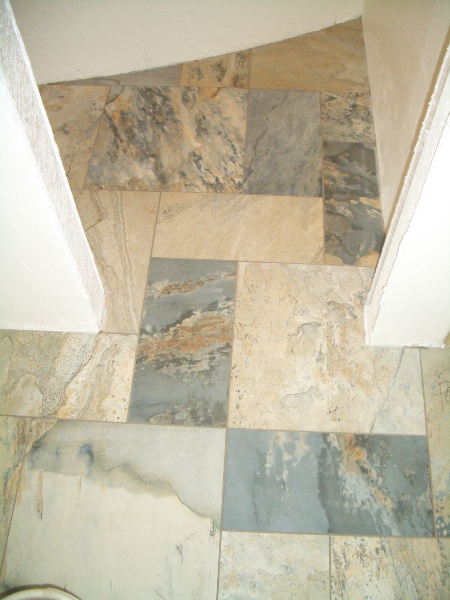 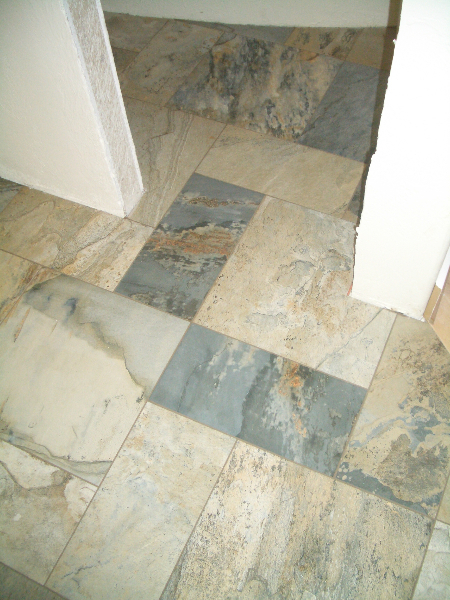 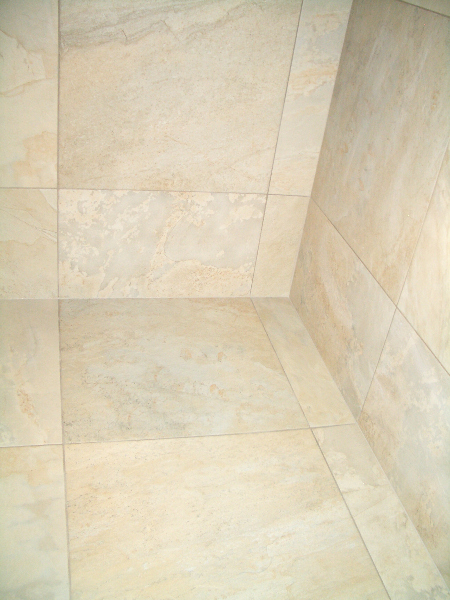 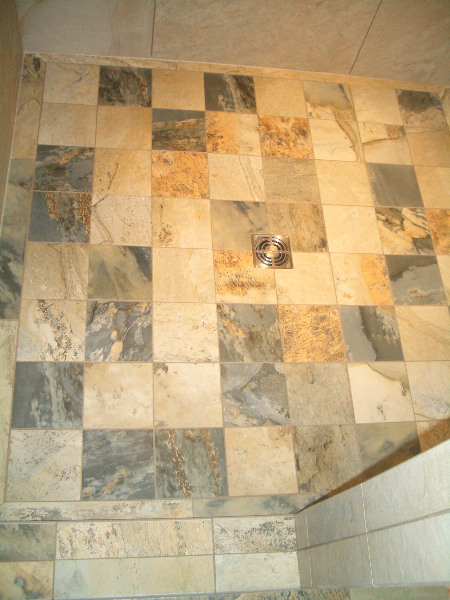 The floor of the shower as well as the bathroom floor was the same series with the Titan line. 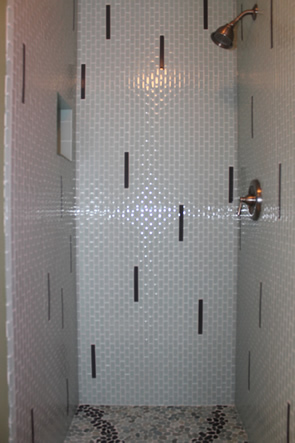 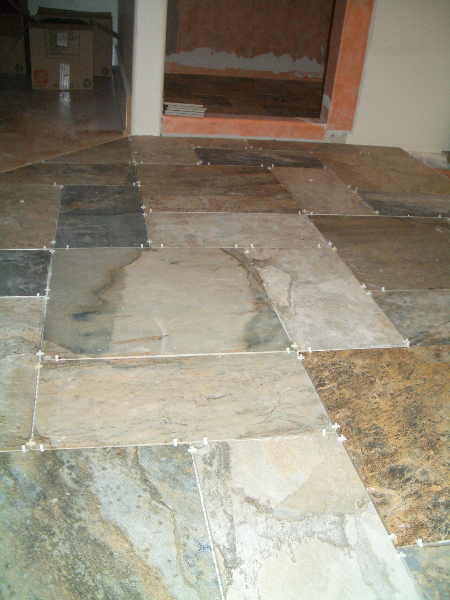 The shower floor has the 2 x 2 mosaics – this helps both conform to the slope of the shower floor as well as helps with traction in a wet environment – and the bathroom floor has the 24 x 24 tile with half of them cut into 12 x 24 to create a modified basketweave pattern. 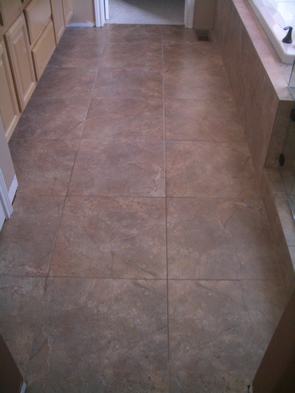 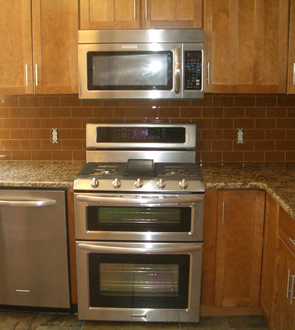 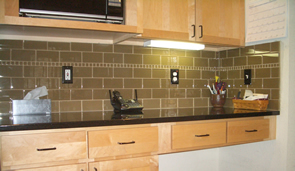 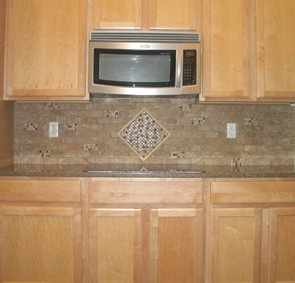 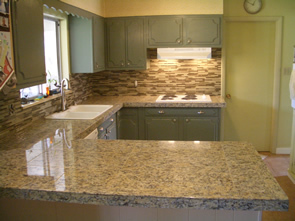 The installation was finished off with a chocolate brown grout. 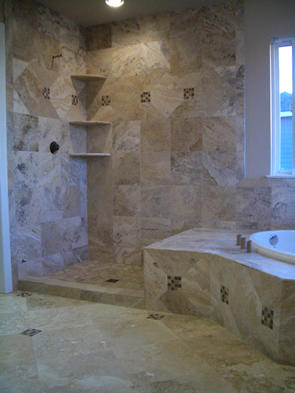 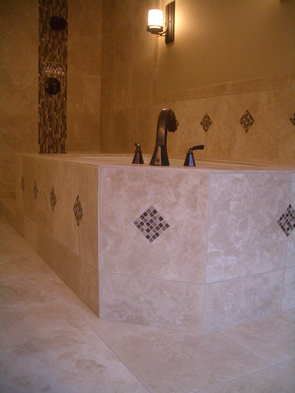 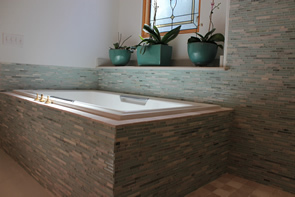 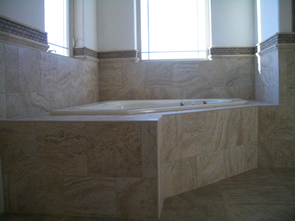 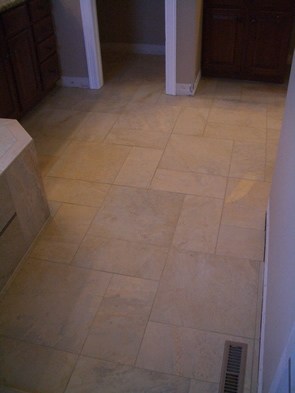 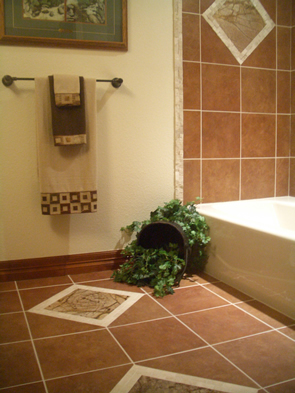 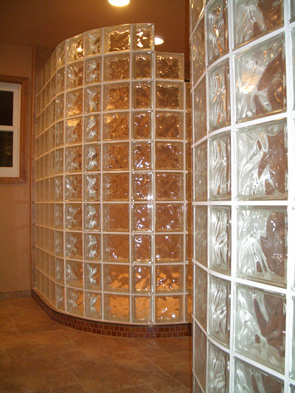 If you need a complete bathroom remodel, or just tile installation, in Fort Collins or any part of Northern Colorado just give us a call at 970-213-3682 or fill out our contact form. 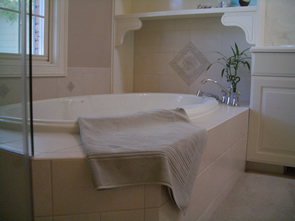 You may click any of the images for a full-size version.